Looking for garage door services in Arlington, VA? Capital City Garage Door provides the high quality garage door installation, maintenance and repair you’re looking for! We deliver straight-up service that’s trustworthy and hassle-free. When you need garage door sales, service or maintenance, don’t call a stranger. Call one of your own neighbors! Capital City Garage Door’s team members live, work and play right here in the Arlington, VA area. We give you the personalized service and attention you deserve. 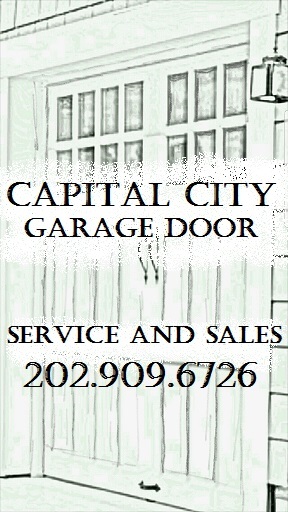 Very pleased with both the level of service and urgency that I received from Capital City Garage Door. Joe explained everything that he was doing and then gave a number of options for repair and replacement. I purchased the most basic Home Depot 1-car 7’x 8’ garage door for my 1940 detached Arlington brick garage . “24 Hour Garage Doors” scared me that a new custom door for a 7’1” x 8’1” opening must be ordered. Joe of Capital City Garage installed the HD door and put molding around for a tight seal. That saved me $1,400 custom door v $240 HD door. Also, $750 labor v $450. Joe, Jesse and their family-owned business are the best!